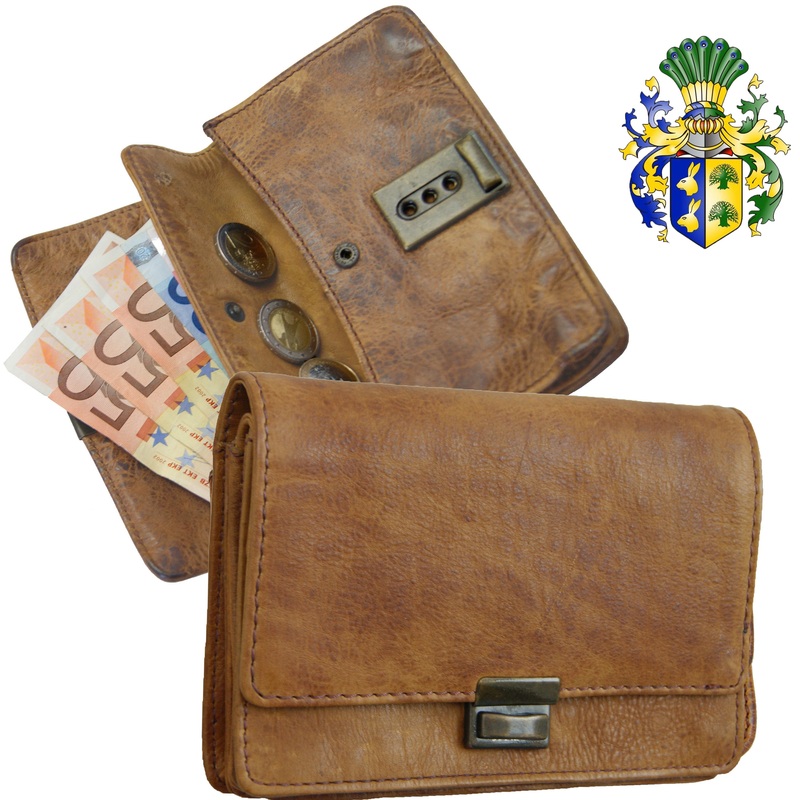 Product information "Money purse FUGGER of brown rugged-hide leather"
The money purse FUGGER of brown rugged-hide leather is a vintage and casual accessory that keeps your money, credit and ID cards well-arranged and safe. Are you looking for a wallet with a remarkable appearance? Now you have found the perfect one! The money purse FUGGER is a handmade article of rugged-hide bovine leather that presents a unique texture. The 3-step-lock makes this accessory a true eye-catcher. This fantastic leather wallet will certainly emphasize your personality! By opening the money purse FUGGER of rugged-hide leather, you will find a big pocket for coins that can be safely closed with a snap button. The two inner compartments keep all bills secure and are rounded up by the six practical card slots. On the back side you can see another zippered section that can also be used for coins. Your new money purse FUGGER of brown leather belongs to the rugged-hide leather series of the fine Collection BARON of MALTZAHN that is manufactured following a traditional procedure. The high grade, unadulterated leather is hand-rubbed with wax and then tumbled in a leather drum for two hours. This special process gives the leather an inimitable ‘’old and used’’ look; you can be sure that you are acquiring an absolutely unique piece. 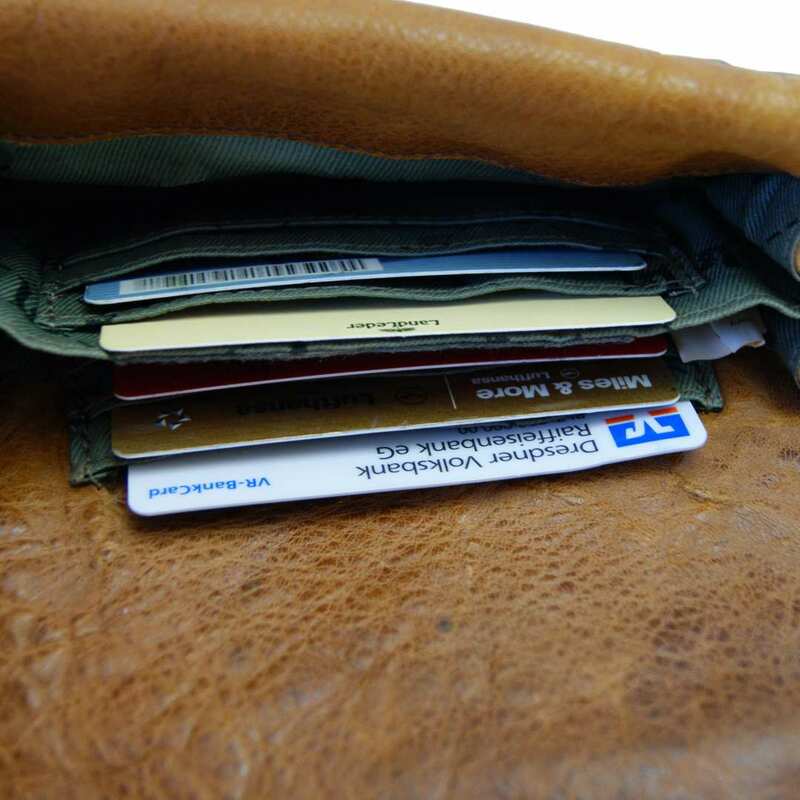 Your money purse FUGGER of brown rugged-hide leather: a handmade accessory! 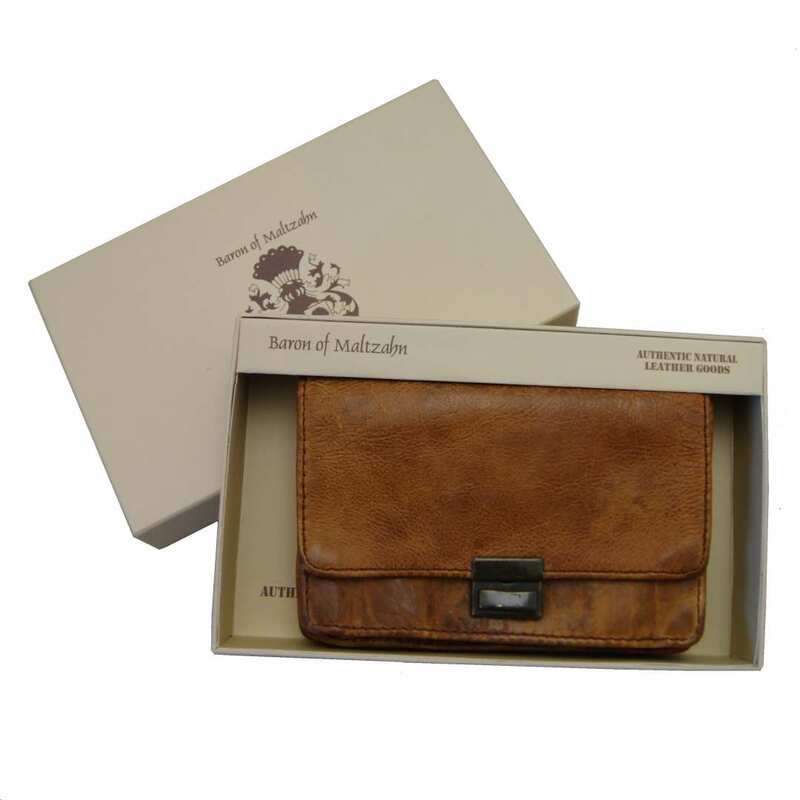 This high quality leather wallet is a handmade accessory that has been lovingly manufactured. Its dimensions are 5.9 x 4.3 x 1 in (15x11x2.1 cm). The individual parts are sewn with extra strong thread in order for your wallet to be very durable. The inner lining and the resistant and smooth-running YKK zipper are attached to the purse at the end of the process and, to round up this accessory, the metal fittings are fixed to the leather. Why would you miss this chance? 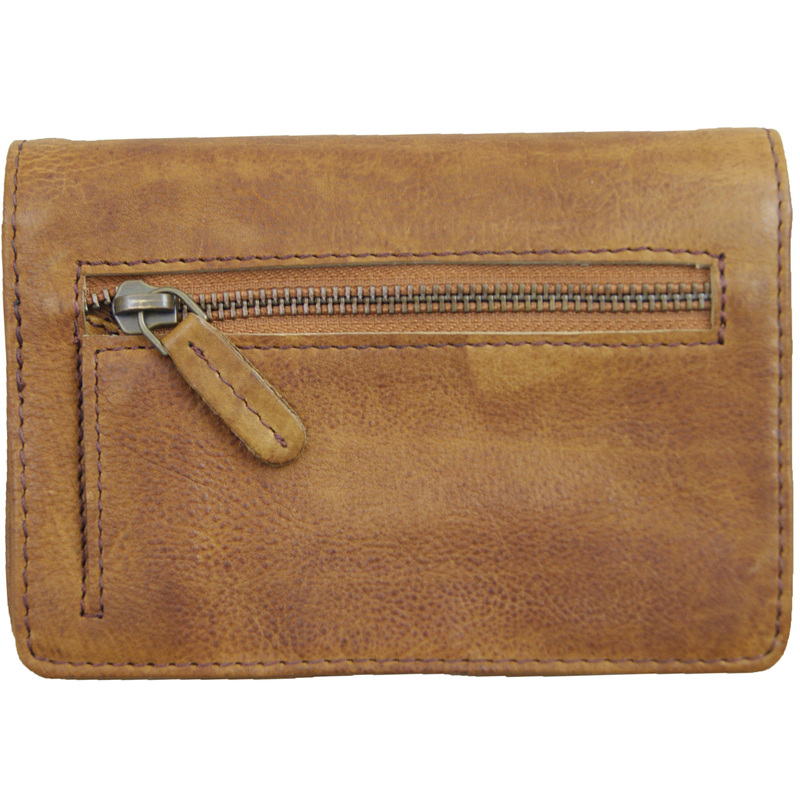 Order now the excellent money purse FUGGER of brown rugged-hide leather! Reviews for "Money purse FUGGER of brown rugged-hide leather"